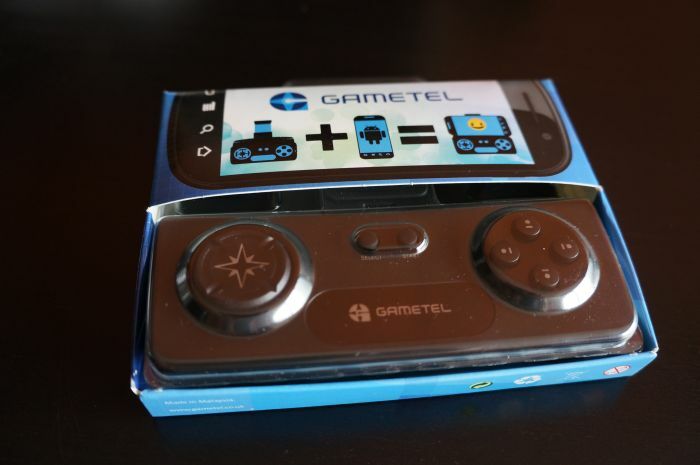 [Competition] Win a Gametel Bluetooth Gamepad! We all love gaming on android, there are some great games, and some great phones to play them on. But what we really miss is a real controller to let us play those great games on our great phones to their best potential. Well, that's where a Gametel bluetooth controller comes in! If you follow us here at Droid-DenÂ then you may have seen our previous review of the Gametel bluetooth controller, but if you haven't be sure to give it a read here! If you like what you read, then now's your chance to win the above Gametel controller (which retails at Â£49.99) for yourself! All you need to do is complete the steps of the competition below. Remember that the first three steps areÂ mandatory, so you need to at least follow @le3ky and @gametel_uk on twitter, asÂ wellÂ as tweeting the competition. After that you have 5 more ways to enter to be in with a better chance of winning! Once again, here at Droid-Den we donâ€™t discriminate, this competition is open to EVERYONE and ANYONE, regardless of your location! But if you do win and live abroad, it might take a bit longer to reach you, but reach you it shall! Not much more to say, except go ahead and enter below, and good luck! This competition is open to everyone. Thatâ€™s right, we will ship the prize to the winner wherever you live on this beautiful planet. The competition is open immediately, and ends on Wednesday 16th May at 12:01AM GMT.